Wondering About Membership in RTA? About RTA What is the RTA? Why RTA? Why should I become a member? Categories What are the RTA Membership Categories? Information is key to competing in today's changing and growing railroad industry. The more you know, the better off you'll be. Use the Railway Tie Association as your best resource for accurate, timely information on treated wood ties. If you're looking to learn more about tie production, forestry practices, advanced treatments, maintenance requirements, track design, research, hardware, timber resources, in-track treatments or virtually any other wood tie-related topic, the RTA can either answer your questions or refer you to an appropriate source. 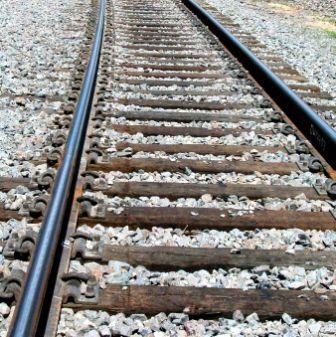 The RTA is dedicated to improving railroad track systems through appropriate use of treated wood crossties. The RTA works to sponsor research, conduct studies, monitor testing and investigate all aspects of tie production and performance. The results are readily available to you here. Use the information to select the right materials, plan more effective purchasing, design new track systems or replace old ones for maximum productivity and performance. As a contractor or supplier, you may have a specific research need. Talk to us. Our R&D committee will work with you to determine the extent of what the RTA can do to help you. The RTA is focused on finding better ways to extend wood tie life and make track operations more cost effective as track performance demands increase. What can we do for you now? The RTA is available to provide you with information and recommendations. For answers to questions, for research summaries that you may find useful, for test results that can help you with a tough decision, for solutions to problems, contact the Railway Tie Association. We're eager to help. The RTA is also involved in timber resource conservation and forest management. Our board members act as liaisons with state forestry associations and work closely with these groups to assist and promote sound forestry practices. Although we can't always remedy current supply problems, we can provide you with answers to your questions about what is happening, why it's happening, and what's being done. Looking ahead, the RTA will also participate fully in upcoming testing of under-utilized wood tie species and further studies of fastening systems, in addition to the monitoring and reporting of numerous ongoing R&D in-track projects. Although treated wood tie supply and costs can be affected by environmental constraints and the demand for other timber products, the production of green, untreated ties is sustainable over time and in adequate quantities to fulfill anticipated demands. As always, wood continues to be our most readily available and renewable resource. According to the US Forest Service, annual hardwood growth has exceed harvest for the last several decades. It’s a natural, abundant material that has stood the test of time. Under today’s tough operating conditions,nothing stacks up to treated wood crossties. Wood ties offer all the advantages you need. Back in the early 1800s when the United States' first railroads were being built, the men engineering the systems quickly found that wood’s superior strength, durability, and resiliency made it the obvious choice for crossties. Now, with track conditions that would positively astound the early railroad builders, wood continues to be the superior crosstie material. And the advantages that made wood the best choice almost 200 years ago are just as compelling today. Wood is extremely strong for its weight. You get superior performance from a material that is easy to handle and economical to transport. Wood is remarkably resilient. Acting as a flexible buffer between rail and ballast, wood crossties can readily withstand heavy loads and take the pounding of out-of-round wheels. Wood crossties are very durable. 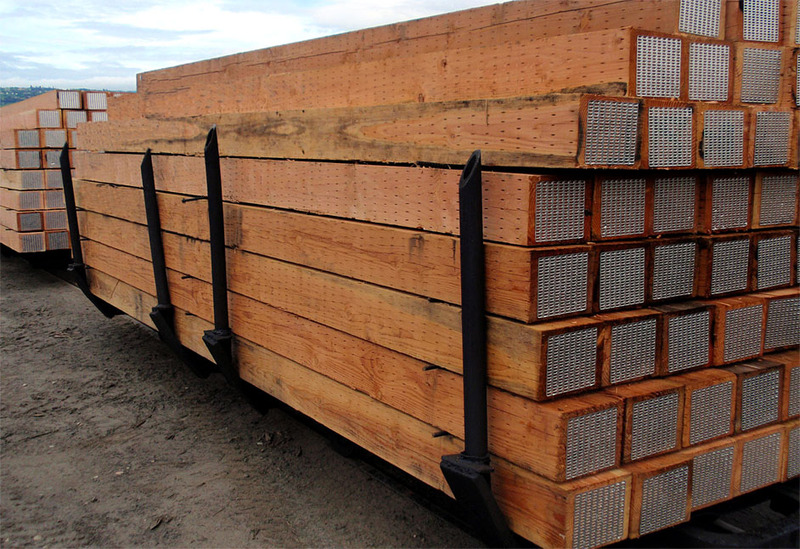 Even under heavy loads, wood ties are highly resistant to fatigue. Wood offers you the best life-cycle economics. Wood ties are not only economical to purchase, transport, maintain and install, but they also offer long-term, cost-efficient performance. Performance demands are getting tougher, and the Railway Tie Association is working to find better ways to extend wood tie life and make track operations more economical. Recent innovations in installation, hardware, and treatment techniques have enhanced wood’s natural benefits to give you a product that is unmatched by any other material. For example, wood’s long life can be made even longer with the use of elastic fasteners. Even under heavy loads in severe service areas, these fasteners reduce plate wear optimize tie performance. Innovative steel end plates and other hardware can minimize or even eliminate splitting and plate cutting for longer, more productive in-track performance and lower maintenance costs. In-track treatment of ties in various track maintenance situations using several chemical solutions at critical rail-bearing areas is showing significant promise in retarding deterioration and extending tie life. Even with a product as good as wood, you want to be sure that you’re making the right investment and that the long-term economics will work to your advantage. SelecTie™ software from RTA can give you the dollars-and-cents information you need to make a sound decision. The SelecTie ™ program is designed to give you an accurate forecast of how long wood ties will last in your track, what your maintenance costs will be and how the total life-cycle economics stack up to your specific conditions when compared to alternate materials. Take a closer look at the SelecTie™ program. supplier companies serving the treated wood crosstie and railroad industries. Consider joining our association TODAY!